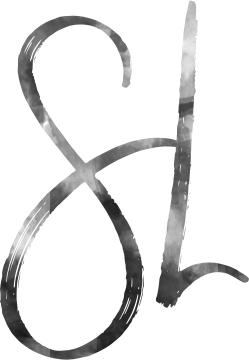 Ask and you shall receive, some of you have asked recently how and what I use to wash my hair. 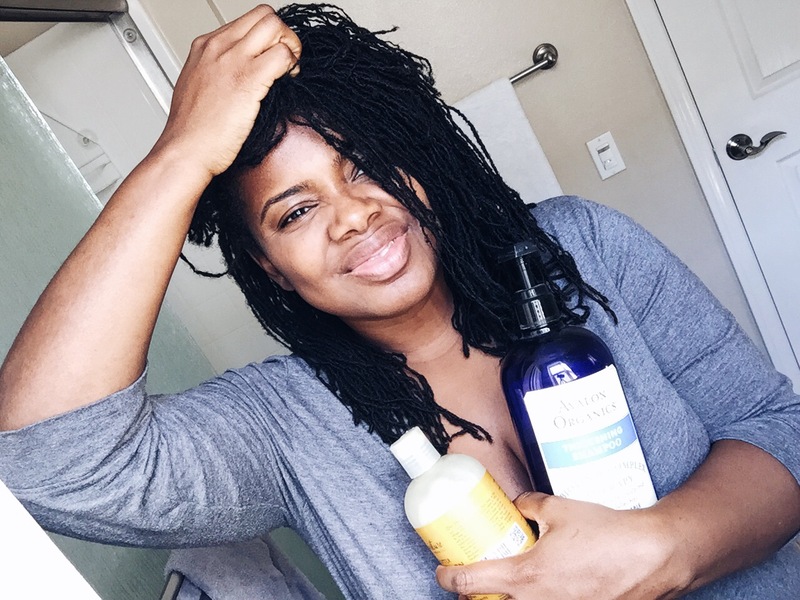 In my last shampoo routine post back in 2014, I was always banding my in small sub-sections and using a different cleansing shampoo. Now I use a a new thickening shampoo and banding is only done occasionally. 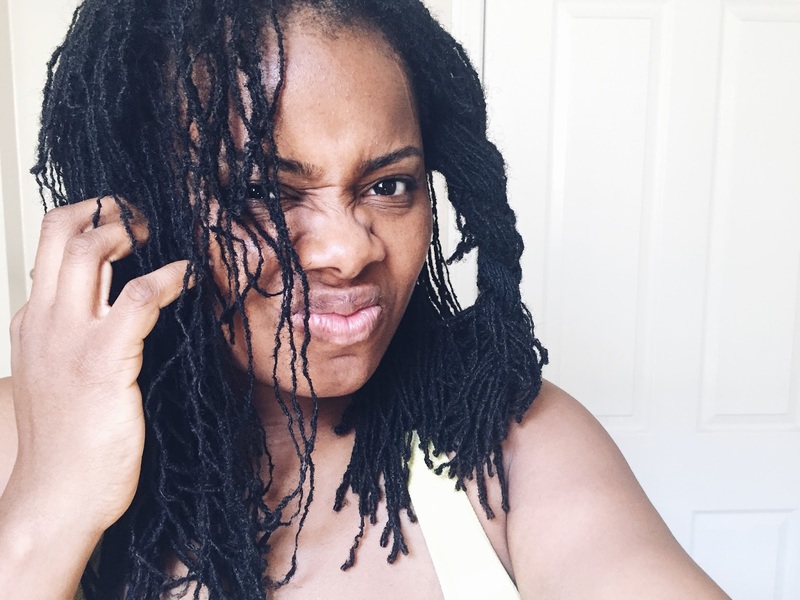 These days I will just jump in the shower and start washing with lukewarm water (hot water strips my black natural hair dye faster) without banding or braiding into smaller sections. Problem with the loose hair method is that I don't always do a great job rinsing out all of the shampoo and on more than one occasion recently I had to jump back into the shower to to do so. For this reason I dod occasionally band/braid, but only in four large sections. 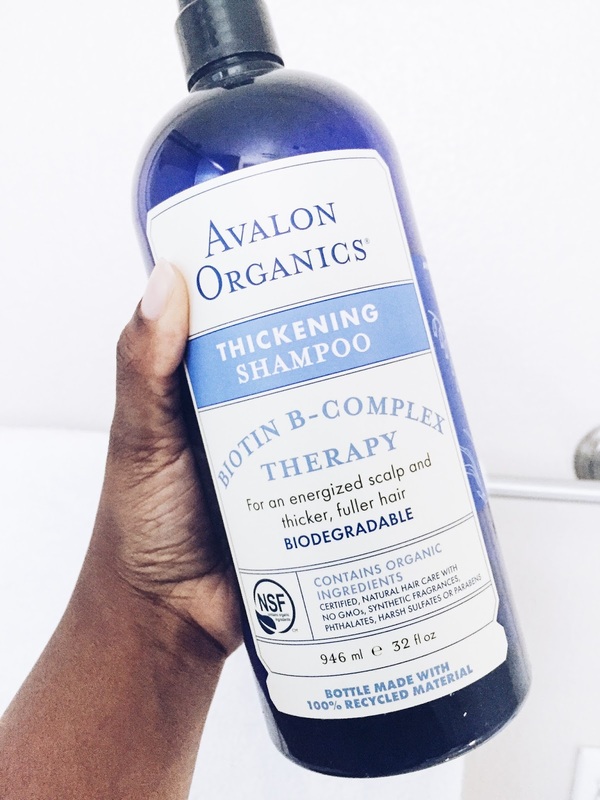 Cleanse: I am in love with Avalon Organics Thickening Shampoo with Biotin B-Complex Therapy. It is a truly effective plant-based formula and it is deep cleansing. When used correctly, it cuts through all the dirt and oil building on my scalp. It also prevents new loc build-up. I'm almost done with this super sized bottle and I intend to buy more. 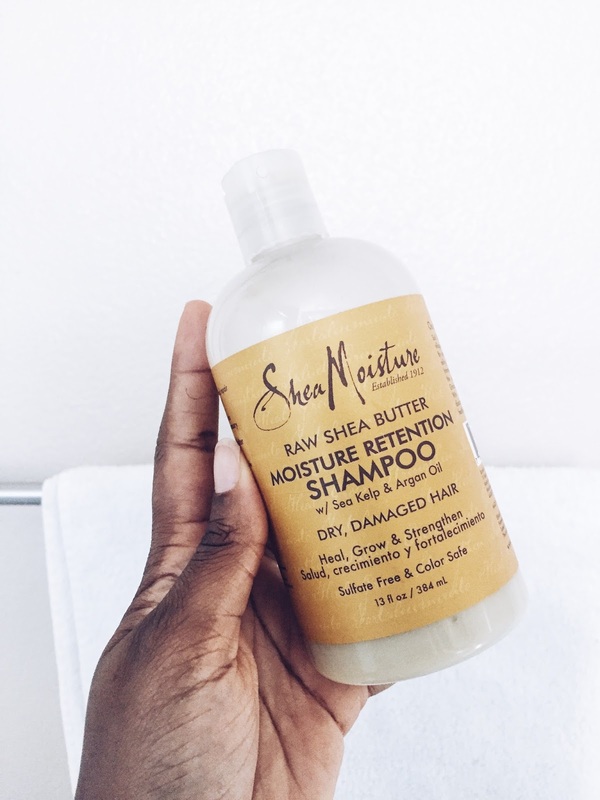 Condition: Because most really great natural conditioners are too thick for my build-up prone locs, I still use Shea Moisture's Moisture Retention Shampoo. This shampoo is so rich and so conditioning without causing build-up. It also leaves my hair smelling amazing for many days. My husband buries his hair in my hair and comments every time on how lovely I smell after. I will occasionally massage a light almond oil on my scalp and ends. For the most part, I just air dry or lay a towel over my pillow and go to bed (don't do this too often or you risk a fungus). You could also braid or roller set for a great hair style. 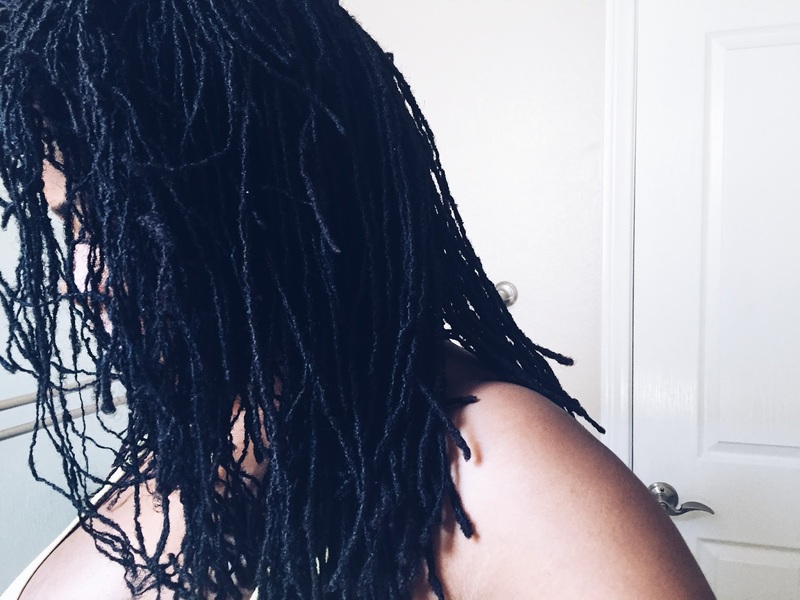 Because California is so dry, I do spray my locs with a light rose water throughout the week.